Looking to keep your floors in tip-top shape? Perhaps it has been a bit too long since you showed your carpets some love and they are now looking a bit tired. Whatever your W2 carpet cleaning need why not give Cleaners Maida Vale a call on 020 8396 6104. Our competitively priced service will breathe new life into your carpets and rugs in no time at all. Some of our many customers use us on an as-and-when basis, others prefer a regular service; it all depends on personal preference. What we know for certain is that once you enlist us to take care of your carpet clean W11 you will not look back. Our long list of satisfied customers will verify this, and we are proud to say that a lot of our new business comes via recommendation. If you are looking for a Maida Vale carpet cleaning service you have found the perfect choice right here. It all starts with a phone call to 020 8396 6104. To us it doesn’t matter whether the baby has left a few marks on the floor of the nursery or that antique rug has taken a beating following an overly-raucous dinner party. You may want one carpet cleaned; you may want the whole house done. Our team of W2 carpet cleaners take every job on its individual merits no matter what the size. What most people fail to realise is just how much a floor deteriorates over time. Busy lifestyles take their toll on the materials beneath our feet, a majority of the time without us realising. As we tend to look at them every day and very much take them for granted we often have little appreciation of just how much they decline in appearance over the years. You have your windows cleaned on a regular basis; maybe you have a cleaner Maida Vale for your home. Why not afford your carpets the same service? As mentioned earlier our team takes each individual job on its merits. Different carpets require different approaches, depending on type and level of staining. That is why it is best to hire the experts. For those delicate rugs hot water extraction could be just what is required, whereas those tougher hallway carpets may require some intensive dry-foaming to achieve the best results. Our team are heavily experienced and come laden with every product and piece of machinery to get the job done. We will always test an inconspicuous area first and allow you to check you are happy with the outcome before proceeding to the whole floor. Rest assured however, we have never been told not to proceed; this initial treatment is designed simply to provide you with peace of mind. 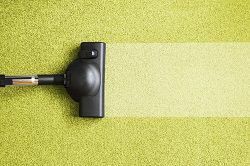 We know that when you see that little square of cleaned carpet, bursting with vibrancy having been restored to its former glory, you will be bursting with excitement at the prospect of a finished product. By calling 020 8396 6104 today for all your W11 carpet cleaning Maida Vale needs you will be setting the wheels in motion. Our service is designed to be affordable, and if you find a cheaper quote anywhere else we will endeavour to match it, that is a Cleaners Maida Vale promise. By choosing us you will be hiring a professional cleaning company with bucket-loads of experience. We bring people’s carpets to life every day, so we know you will be blown away by the results. That’s another promise. If you aren’t satisfied we will try a different method until you are, although once again this is not something we have ever had to do. So give you carpets a present, treat them to a professional Maida Vale carpet clean by calling 020 8396 6104 today.